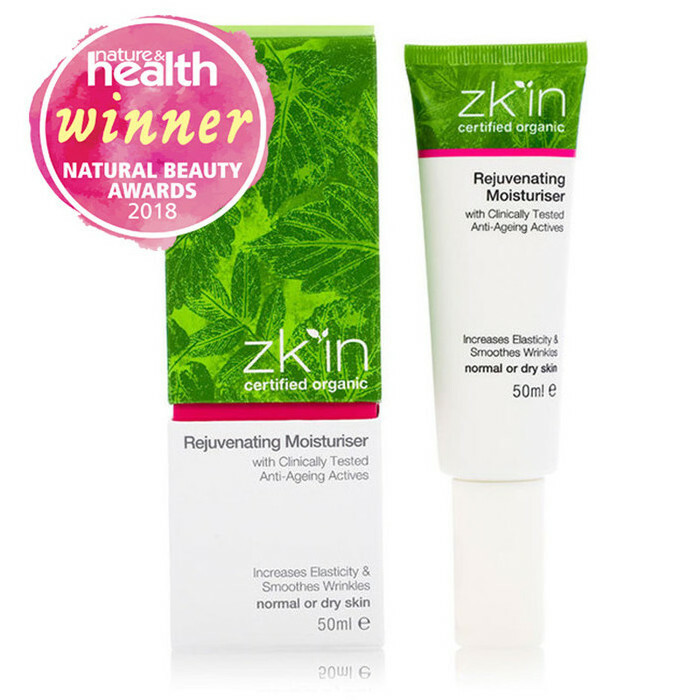 The Zkin Rejuvenating Moisturiser uses clinically tested anti-ageing actives to help increase skin elasticity, hydration and smooth wrinkles. The Organic Brown Seaweed Extract (Maritech® Reverse) has been clinically tested to reduce wrinkles and enhance skin appearance by up to 68%*. It also contains clinically tested Organic Cotton Thistle Extract (Gatuline® Skin Repair Bio), which has been shown to help promote in-depth skin regeneration, replenish strength and firmness, repair damaged skin and improve skin moisturisation. 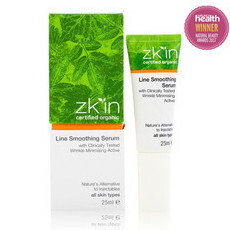 These actives combine with a beautiful range of organic oils and nourishing Aloe Vera to leave the skin feeling rich and velvety while reducing moisture loss and enhancing flexibility and suppleness. Aloe Vera, Jojoba Oil, Lavender, Rosehip Oil, Sunflower Oil, Vitamin E.
Apply to face and neck with gentle circular motion both morning and evening after cleansing. This stuff is just fantastic. I had to buy a different moisturizer as this one was out of stock when I needed to buy more and I will definitely be coming back to this one! I'm really missing it. It instantly makes my face look fresh and healthy. It absorbs really well and is the perfect amount of moisture for my dry skin without feeling greasy especially under makeup. It smells lovely and a little goes a long way. Love love love! This stuff is just beautiful. I try others but always come back to this. I use this and the serum every day with or without makeup and that combo definitely gives me a visibly tighter, brighter complexion. 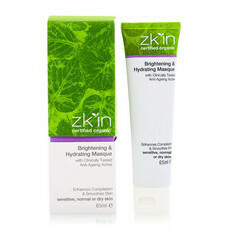 I'm in my 50s, combination skin which tends to be dry these days, though still with a slightly oily T-zone.